I traveled to Arizona to photograph and write a feature article for Acres USA on this farmers’ market. It emphasizes friendliness and truly local growers. 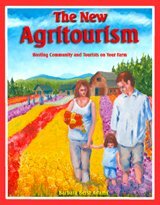 This is a combo ag travel blog and updated feature article with farmers' market how-tos and the story of their work towards fair rules for local growers and producers. Heirlooms, sprouts, garden bouquets, goat milk bodycare products and much more fill the tables at the seasonal Verde Valley Farmers’ Market (VVFM) in the town of Camp Verde in central Arizona. But something else also fills the atmosphere. There’s an authenticity and friendliness to this farmers’ market that makes a visitor want to linger and return. There is also something missing from this market -- though perhaps not for long. And that would be certain traditional homemade foods currently impossible or too impractical to sell profitably as a result of what some see as outdated or redundant regulations regarding the sale and purchase of cottage foods. But if some of these Arizona area growers, and local customers have their way, VVFM will become even more of a resource and example of a world returning to abundant locally grown and produced foods -- including cottage foods made at home. Verde is the Spanish word for green, and the Verde Valley region once bustled with agriculture activity that served the high altitude and highly populated copper mining town of Jerome, Arizona. The mines have long since closed and Jerome evolved into a smaller tourist and arts community. Wineries have since moved into the area also as the valley continues to transform and utilize its unique growing conditions. In 2004, two devoted gardeners named Diane Scantlebury and Denise Gould wanted a way for local growers to sell their produce. 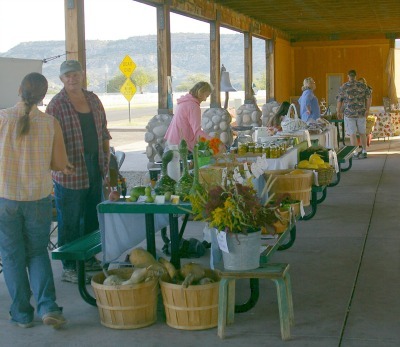 They started the Verde Valley Farmers’ Market in tCamp Verde, which thrived in a parking lot for several years. The location was eventually moved to its current one near enough to town yet next to a state park beneath an open air shelter with ample parking, and quiet, green surroundings. And Jane Davie, a long-time local grower and vendor at the market, is now the market’s manager. 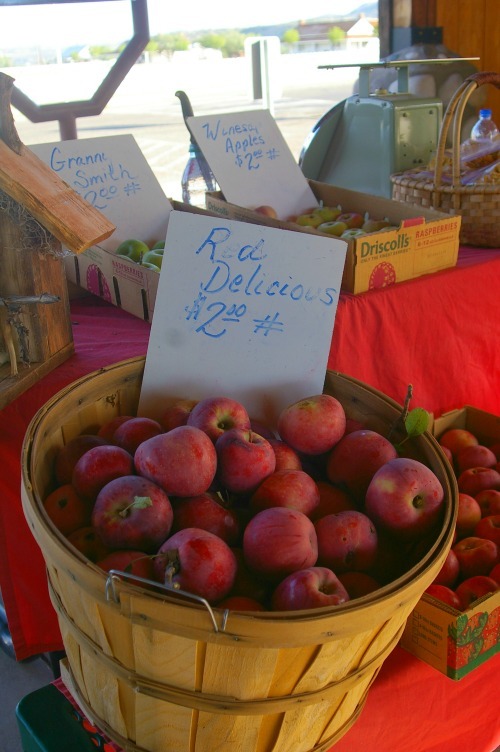 Many farmers’ markets include arts, crafts and flea market vendors, some even as much as half. But VVFM is about fresh locally grown produce and value-added products made from area crops. In part, local regulations in this area require a more expensive fee structure for crafters to sell at markets than for produce sellers, so the number of arts and crafts vendors is naturally lower for that reason. But this is a region with a strong agricultural history and VVFM is a faithful reflection of that history. “The Town of Camp Verde was based on agriculture and I see that the VVFM is just carrying on the tradition and reinforcing the importance of purchasing what is locally harvested,” Davie said. Across the nation, many states and counties are dealing with changing views on how the country can prosper from a local food base. They’re taking a closer look at their regional cottage food regulations. While some food safety regulations are very helpful across the board, certain regulations were based on factory production and aren’t relevant to home production. And a number of current and past vendors at the friendly Verde Valley Farmers’ Market await the outcome of recent attempts to make their own local contribution to progress towards a nation of abundant and safe local food supply. Terri Painter is a Camp Verde resident who owns and operates The Crazy Goat Lady Lotion Company. She sells various bodycare products made from the milk of her Nubian goats at VVFM, and also brings a pet Nigerian dwarf goat to the market for the enjoyment of the customers. 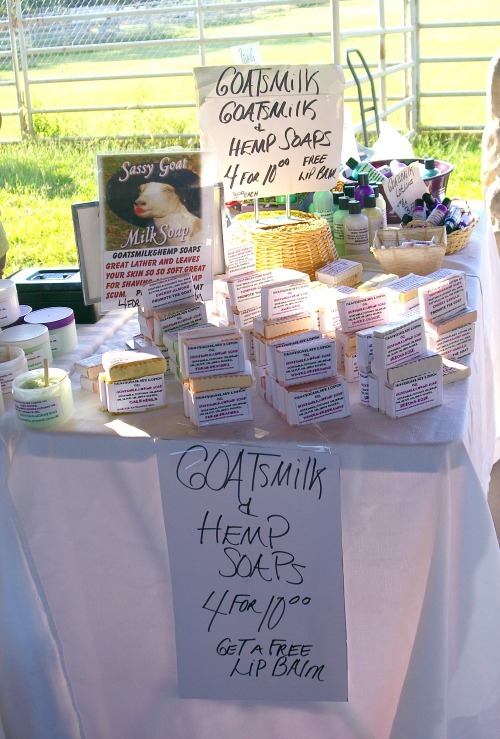 But she’d also like to sell her well-loved goats milk feta and garlic-dill goat cheese. She can’t make it at home and sell it as she’d like to under current regulations. It’s more practical for many dairies to process right on their farm rather than haul fresh raw milk to a commercial kitchen. In Boyce’s case, she is single and does all the work of the farm herself. And costs for building an on-farm commercial kitchen are too prohibitive. So, as one example of a possible need for local communities to regulate themselves and choose their own exemptions, if a farmer and/or home food processor has enough people who already trust their home processing methods and want to buy their product, should there be a way for customers to legally pay the farmer for what they want to purchase? This brings up the issue of local communities being able to have some leeway or exceptions from within one-size-fits all centrally created rules. There is a movement towards local communities interpreting rules for safety in cases where a community kitchen or making farmers install their own certified kitchen isn’t plausible production-wise or possible cost-wise. For example, some states allow exemptions to certain regulations such as the requirement to use a licensed commercial kitchen for producers who don’t produce beyond a certain amount of product, or who earn less than a specified small amount annually. Also, though community certified kitchens have proven clean and useful in many cases for local growers who want to process safe foods outside their homes, in some growers and food producers’ opinions, they aren’t always the better choice in every case. As mentioned, hauling certain food items to a community kitchen can be prohibitive, can result in less nutrition, or even be less safe than taking a crop instantly from harvest to kitchen for processing in the early hours of the morning. And while most certified kitchens do strive to be extremely clean, there can be problems with processing even in clean shared kitchens for those who produce for people with strong, sometimes violent allergies to substances such as gluten or peanuts. As well, not all food producers agree that licensed kitchens are clean enough. Another wholesome cottage food not available at the VVFM is sauerkraut produced in the traditional method in the kitchen of Sandy Boyce. However, her product used to be there, and was quite popular. Boyce, co-founder and director of the Verde Valley CSA, makes sellable quantities of sauerkraut in her own kitchen using time-honored methods that have been nourishing humans safely for centuries. But Boyce was told she could not sell her product if she purchased the cabbage from other growers and made it in her own kitchen instead of a licensed commercial kitchen. Boyce feels strongly that requirements for commercial kitchens are not always the answer to food safety. Boyce continued to make and sell her naturally fermented kraut the same traditional way from her kitchen, but labeled it as pet food in order to sell it legally, and she sold 435 pounds by the end of the season. But she was eventually told she couldn’t do that either. Since then, Boyce and other local growers and home food producers have united to make changes in their area. Boyce formed a written request to the county health department and county supervisor to remove redundant special events fees and consider proactive options for those who hand-produce quality, safe homemade foods that, in some cases, customers already want to buy. Some of the requests would even seem to make handcrafted foods even safer, such as allowing home pH testing which means a food producer could afford moneywise and timewise to check every batch rather than just random batches. Some regulations already in place, such as current food handler’s license requirements, are still very much supported by the request, which is known in the region as the Local Food Freedom Proclamation. “The proclamation,” said Jane Davie, “states that we believe in preserving the ability of individuals to produce, process, sell, purchase and consume the foods of their choice. This is to be accomplished through farmers markets and direct farm sales to allow the public a choice when it comes to what they eat.” As of this writing, Davie said that the health department has not acted on any of the requests. The ability for local communities to interpret safety rules according to their unique needs and attributes continues to draw attention nationwide, and Verde Valley growers are no exception. Blanket, generalized centrally created laws seldom adequately serve the individual community, which in turn collectively serves their state, which in turn collectively serves the entire nation. 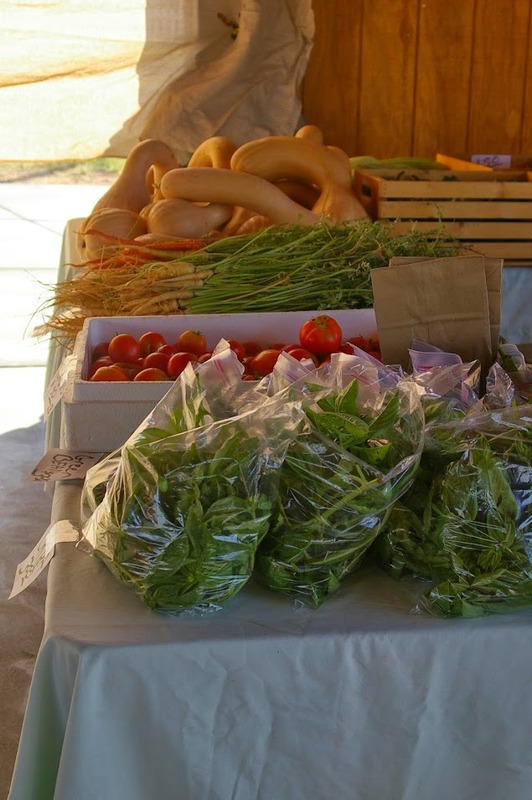 So along with friendly folks and an abundance of truly locally produced farm and garden products, the atmosphere at the VVFM also carries a determination towards even better conditions for local food producers and buyers. 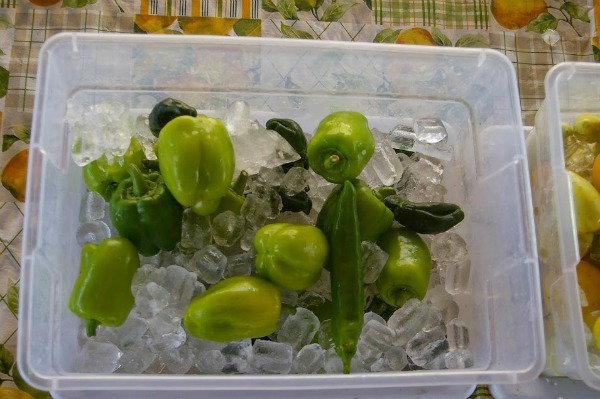 Update: Since this article was first published in AcresUSA Magazine, this farmers market has continued to thrive and make progress towards their goals of serving the local food movement. Here’s where farmers market founders and their vendors can learn the regulations at their state, county and city levels. - Most states have a farmers market association one can search for online. - Farmers and vendors can also search their state’s Department of Agriculture website for state codes regarding farmers’ markets. - The state and local Department of Health must be contacted for a description of their rules, as they regulate value-added and prepared foods at markets, including conducting inspections. 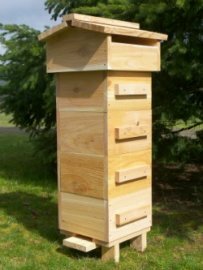 - A growing number of areas now have unique local non-profits engaged in sustainable agriculture and developing local food systems. Ask around, and keep an eye out for them at food co-ops or other local areas of shared interest.